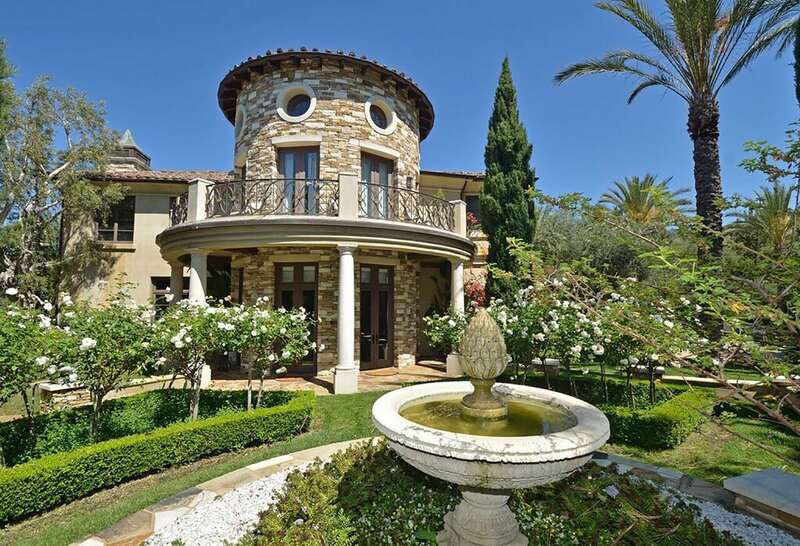 An absolutely exquisite Tuscan home set behind the gates of the highly exclusive, star studded, Brentwood Country Estates. 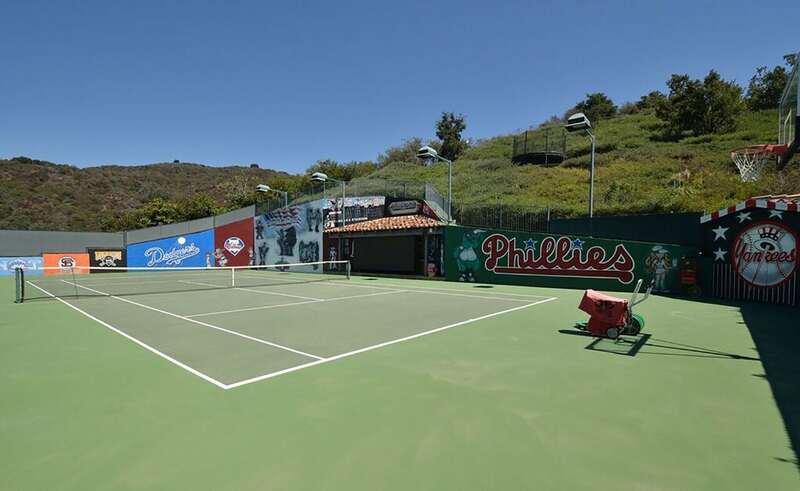 At the end of a quiet cul-de-sac lies this stunning gated Richard Landry tennis court estate including a tennis court and rolling canyon and ocean views. The sprawling 11,000 square foot newer home has been impeccably kept, with high quality materials and finishes throughout. The grand entryway opens to a beautiful living room with 2 story, beamed ceilings as well as a step down formal dining room with hand painted detailing and coves ceilings. The kitchen is state-of-the-art, with numerous islands and a lovely circular breakfast area with large windows overlooking the expansive grassy lawn. The luxurious master suite is totally private. It features spacious walk-in closets, high vaulted ceilings, large windows with streaming sunlight, lovely adjacent office, and gorgeous master bath. There are a total of 5 bedrooms upstairs, with numerous balconies, plus a large gym and 2 additional bedrooms on the main level. From the entry or living room, access the inviting outdoor loggia that opens to the immaculate pool area featuring a cozy double fireplace. 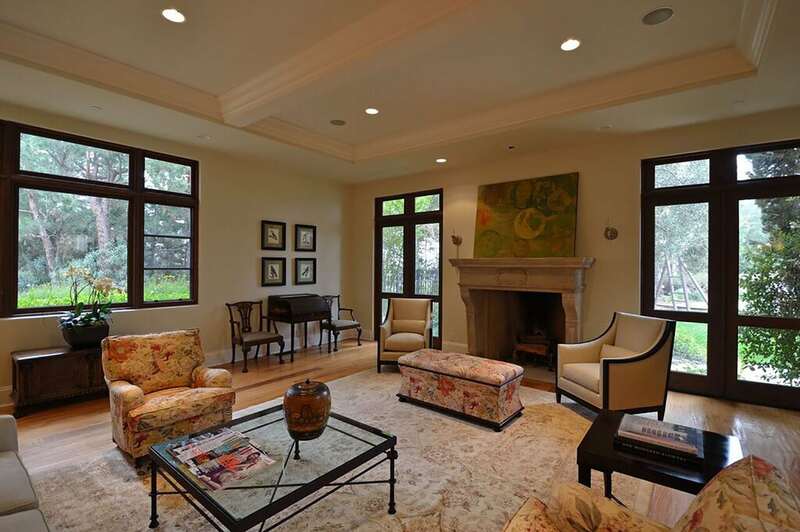 This beautiful estate offers a remarkable outdoor space perfect for relaxing or entertaining. Featuring a beautiful pool and spa, an enormous grassy lawn, an entire built-in entertaining facility with barbecue, oven, refrigerator, sink and griddle, huge tennis court/ recreation area, outdoor patios, and quiet rose gardens- this home has everything you could possibly ask for and more!